You may already know that School of Coaching Mastery is doing a fund raiser for Habitat for Humanity. In the day and a half since we 1st announced it, 18 people have contributed a total $660 directly to the charity and since Habitat has a donor who will double online contributions, that comes to $1360 that we've helped send their way - and we're just getting started! The deal is, donate at least $20 and we'll let you take a special offering of coach training for free - and if you contribute $100, we'll add you to our "Coaching Superheroes" page. We've already gotten two $100 contributions from Helena Kalin of Switzerland, and Dr. Susan Meyer, IAC-CC*, of New York City. Thanks to you both! I was particularly pleased with Susan's contribution, because obviously, Susan doesn't need the training. Instead, she asked me to give it to someone else, who might not have the money. So I've offered the training to someone who had wanted to do it, but lost her job. How cool is that? Susan exemplifies what a master coach is all about. By the way, Mattison Grey's* Coachathon is today. She's raising money for the Y. We all have stuff we can give, "even in this economy". 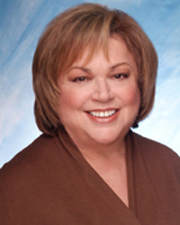 *By the way, both Susan and Mattison are members of School of Coaching Mastery's Board of Advisors. School of Coaching Mastery is presenting its signature coach training program for new coaches, Coaching Groundwork, for FREE! All you have to do it make an online contribution to Habitat for Humanity by March 30th and email us your receipt. You'll get to attend a special Coaching Groundwork course, live with Julia Stewart, SCM President on four consecutive days, March 30th - April 2nd. Coaching Groundwork is normally $325. The most common feedback we get from this course is that people can't believe how much they learned in so short a time! This is a rare opportunity to do something good and get something extremely valuable in return. And something that makes it extra special is that a benefactor will double your contribution to Habitat for Humanity! 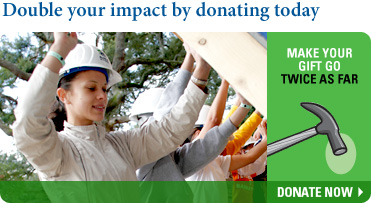 To find out more and make your contribution, vist Coaching for Habitat.